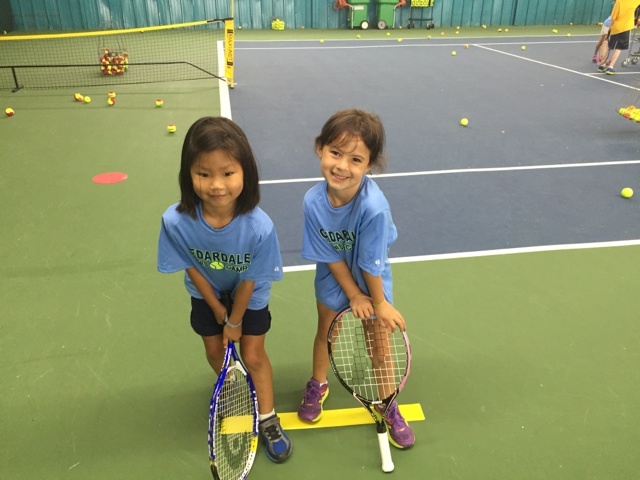 Our goal is to build your child's confidence as a tennis player and a person by learning in a fun, positive atmosphere. All our campers will develop skills needed not only to become better tennis players, but also better athletes through hand-eye coordination and agility skills. Full day campers will also enjoy a daily swim, and a visit or two to our Cedarland Fun Center that features mini-golf, a climbing wall and an adventure ropes course. Only one discount can be applied. To register please click the appropriate link at the top of the page. The above camps will be held at Cedardale Health & Fitness in Haverhill, MA. Our newly rebuilt Haverhill facility is scheduled to open May, 2019. Please contact Junior Tennis Director Ryan Adamonis at radamonis@cedardale-health.net or call (978) 373-1596 option 1 with questions.